Ever since Bitcoin was conceived and the mining process began, the cryptocurrency’s popularity has continued to steadily grow. Bitcoin was designed for anonymity and security, but paradoxically there are many vulnerabilities associated with owning cryptocurrency. This may lead to many difficult situations for publicized cryptocurrency owners, as their assets can be easily (and without a trace) stolen from them, via extortion or the loss of their private key. As a matter of fact, the first significant Bitcoin theft, of 25,000 BTC in today’s market value, worth of about 231 million dollars, happened in 2011 when Bitcoin was only $19. So what should cryptocurrency owners do? How can they protect themselves from potential threats and limit the danger to their crypto finances? 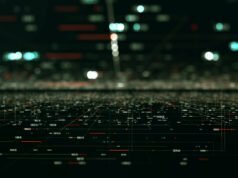 As controversial as it may be (for the crypto community), the solution may be found in centralized services such as Xapo, especially in cases when anonymity is no longer an option. It all started when the progressive Argentinian thinker and entrepreneur Wences Casares spotted the unique business opportunity in “being the bank” of digital holdings for the global elite. Casares with his dogmatic approach towards cryptocurrency (he believes that Bitcoin will be the only digital currency to survive them all) fights hard to create a vast and secure network that compliment his beliefs. Having spent several years and unknown amounts of money in constructing what is probably the most secure network of underground vaults dispersed on undisclosed physical locations across three different continents. Four years later, Casares launched a Hong Kong-based startup named “Xapo” which is the first custodian to capitalize on the prevalent security concerns associated with storing Bitcoins. The custodian is subjected to regulatory purview. Its Swiss subsidiary falls under the Financial Services Standards Association that requires it to comply with all anti-money laundering (AML) rules. Xapo has a Delaware-based corporation that is registered with the U.S. Treasury Department’s Financial Crimes Enforcement Network and is licensed in several US states. 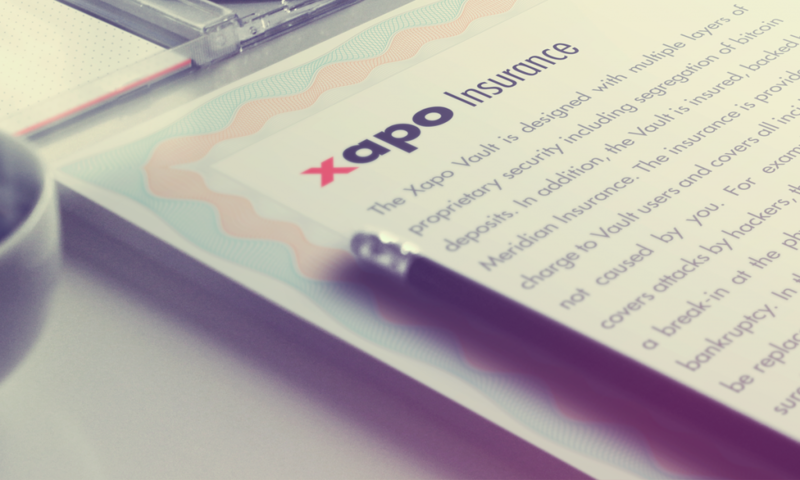 Xapo serves its American customers through this corporation, ensuring adherence to all necessary US compliance. Worldwide, Xapo provides a cryptocurrency wallet, Bitcoin debit card (no longer available) and of course, cold storage vaults. Bitcoin broker – You can purchase Bitcoin on Xapo using a different set of payment preferences. They offer Credit Card, Bank Transfer, Online Payment Processor and Cash payment preferences but not all of the payment options are available for every country. Xapo Wallet – Mobile app and online access are available, they offer a way to store multiple fiat currencies and direct transfer of funds to and from the Xapo Vault. Xapo Debit Card – Xapo Wallet is directly connected with Xapo Debit Card, that includes functions like the standard debit card, the only difference is that it is backed with Bitcoins instead using fiat currency. This debit card was available in accepted countries, but in January 2018, Visa instructed the company to stop all of their card operations. Xapo Vault – Well known cold-storage maximum security vault that safely stores Bitcoins. After setting up the infrastructure, Casares undertook the laborious task of persuading the wealthiest business owners in Silicon Valley that Bitcoin was going to become the only global, high-value crypto asset. That they should invest hard fiat in and that his security system was the best for them. He did acquire a very exclusive clientele which brought him fame all across the States and a nickname “Patient Zero” for being the first protagonist for Bitcoin and related business opportunities. According to anonymous Xapo clients, today’s total value of Bitcoin supply stored in the vaults is $10 billion. In other words, it holds 7% of the world’s Bitcoin market cap owned by a single entity or more than 98% of all deposits retained by about 5760 American banks. In order to provide enhanced protection for his clients’ BTCs, Casares relocated Xapo’s HQ in Switzerland after adopting a decommissioned military bunker into a crypto storage facility. 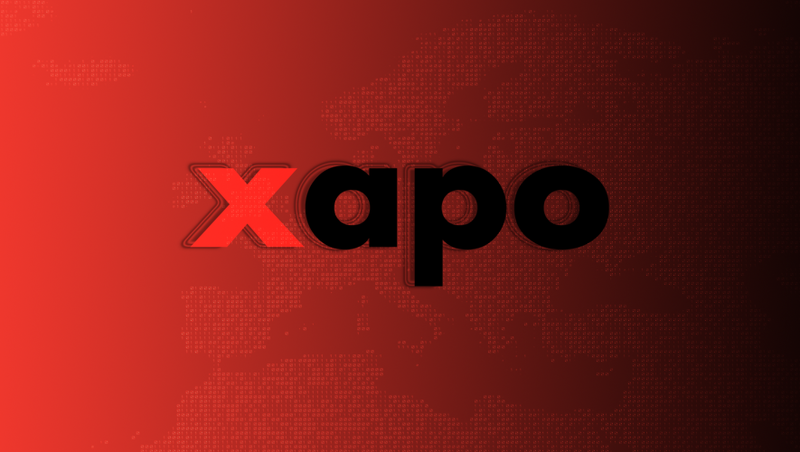 Xapo’s most prominent investors are Benchmark, Greylock Partners, Index Ventures, Fortress Investment Group, Ribbit Capital and Emergence Capital Partners, GrayScale, CoinShares, etc. who entirely gathered more than $540 million. Xapo’s high demand is proven by the investments of billionaires Reid Hoffman, Mike Novogratz, John Reed, Dee Hock and many others. How Does Xapo Safeguard Its Holdings? The Xapo’s security system is of cutting-edge technology. One needs to pass a couple of checkpoints of armed guards, reinforced concrete corridors, enhanced steel doors, biometric locks with state-of-the-art finger recognition software and constant visual surveillance of every inch of the vault. It starts with multi-factor authentication and private key segmentation on big computer servers that hold the bitcoin and which have never been connected to any networks, particularly the Internet, nor they never will. The vaults have a failover backup mechanism. This is why Xapo is safest cold-storage security system on the planet. Xapo has a well-tested protocol that demands a flawless verification of a client’s identity and authentication of the request before it manually signs the transactions with private keys from multiple vault locations. Approval from three separate vaults is required for any transaction to be authorized. As an added safeguard, the entire process takes upward of 48 hours for requested Bitcoin to show up in the Xapo wallet from the company’s vaults. Should the client wish to make a withdrawal on business days, the procedure can stretch up to 4 days if the weekend comes in between. Both the cost incurred in the transactions and the time taken will be too high for it to be viable. Furthermore, should the client prefer trading the BTC for another cryptocurrency, there is an added cost for transferring the bitcoin to an exchange wallet. Not to mention the additional waiting time. Xapo’s solution to the Bitcoin’s security issue is not applicable nor useful for mass usage which means that more independent, faster and cheaper solutions are necessary. It is impressive that a service like Xapo’s exists, mainly because it points out the need for better solutions that all investors can take advantage of. Additionally, it is a paradox to the cryptocurrencies’ defining security features like independence, anonymity, and decentralization. “One thing that needs to be a major priority of the crypto community is increasing usability and security of self-sovereign authentication models. That is, we need to work much harder to design wallets that are secure for regular users without introducing centralized keyholders.” – Vitalik Buterin. There is a lot of value to having a verified custodian keeping your cryptocurrency wealth more secure than you could ever do it yourself. In the eyes of the extremely rich, most often anonymity is not an option, therefore having somebody dependable is truly a blessing. Next articleCoin of future? FuturoCoin!